tickets. We will then deliver the tickets to your Branson area lodging. Our friendly and helpful staff works with groups and individual travelers. Plus we love working with travel agents! Don’t forget to check out our website. We have packages for every season, families with children, romantic, golf, shuttle and car rentals, groups of 15 or more, student groups, mentally challenged with caregivers and religious groups. We have our Branson Show and Attraction guide, a two page guide of the main shows in Branson, limited engagements and attractions. We also have a free, no obligation and easy to use quote form on our website as well. Customized packages are always welcome. 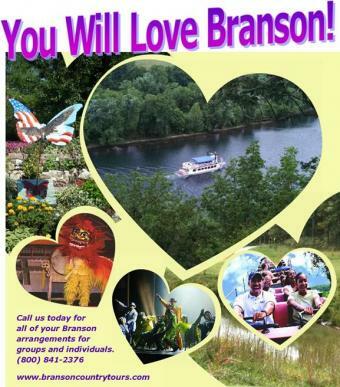 We are members of the Branson Travel Planning Association and the Branson Lakes Area Chamber of Commerce. We are IATAN Accredited and Better Business Bureau Accredited with an A+ Rating. 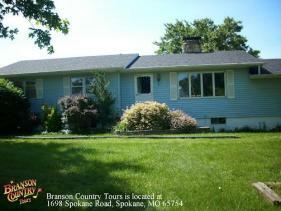 Our purpose is to help make planning your trip to Branson a stress free experience. We have been helping groups and individuals with their Branson vacations for over 21 years. We are always delighted to give you a customized quote that is sure to fit your interests and budgets. Call us at (800) 841-2376 for a quote you are sure to love!